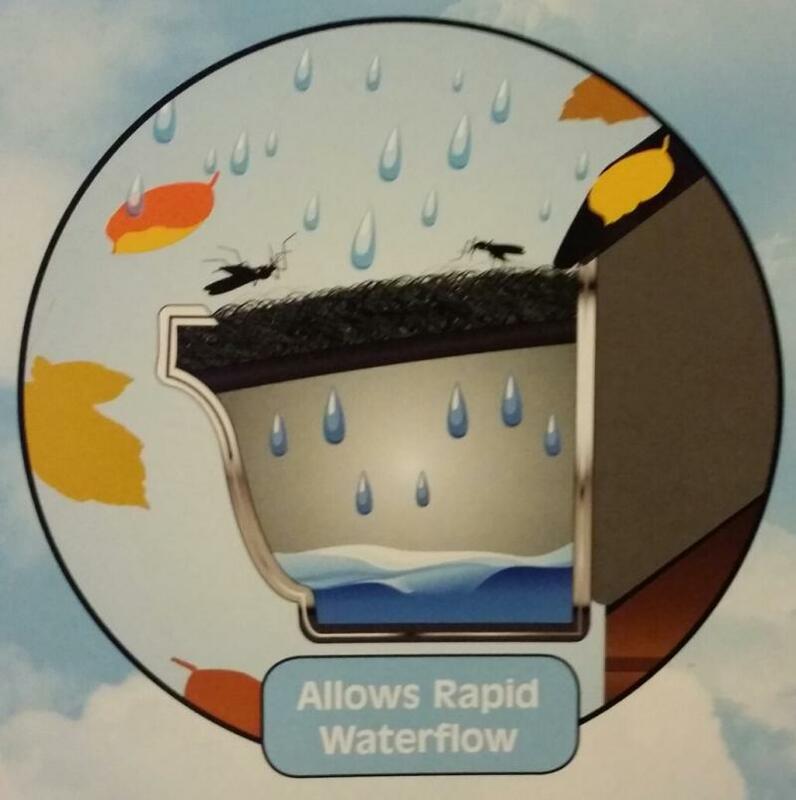 It excludes leaves and debris from the gutter while allowing all the rain water to flow through quickly. 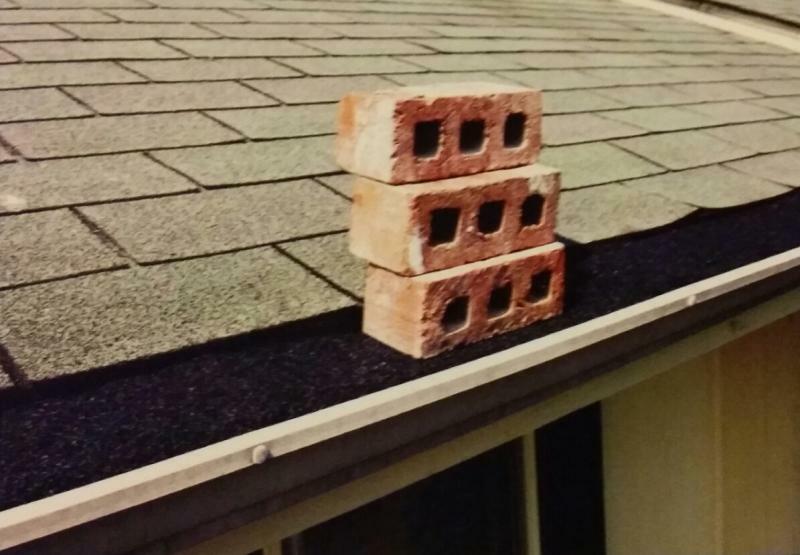 It will help reduce the incedence of ice damaging and prevents the gutter from becoming an ice anchor hanging dangerously from your home. It will exclude Mosquitoes, Bee's and other pests that would like to live or breed in the gutter, this is very important protection as the gutter is a primary place around the home where Mosquitoes breed. This product would eliminat a primary source of infestation around your home. This product is made from 100% recycled polyethylene fiber. The patent pending design is protected by a Flame Retardant, a UV Stabilizer and a Germicide. Over the hanger installation allows great water flow and the smooth finish sheds leaves and debris easily. It includes a peel and seal strip on the back side to secure it in place and ensure a fast and easy installation. The strength and durability are some of the key features of this porduct, it can withstand heavy downward forces while maintaining it's filtering capability at times of heavy debris fall or heavy snow and ice. It is availably in most residential and commercial gutter styles and sizes. 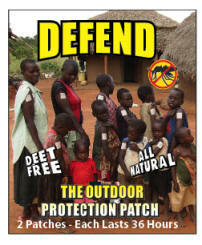 The OMEZONE Defend Mosquito Patch is a topically applied patch that repels mosquitoes and other biting insects! The Omezone Defend Mosquito Patch is 100% safe and harmless to children and pets, yet so effective it keeps mosquitoes and other blood-sucking insects away for up to 36 hours! Just one small OMEZONE Defend Mosquito Patch creates an invisible and virtually impenetrable shield against the ill effects of mosquitoes and the diseases they may carry. Within two hours of application, these annoying creatures will know that you're off limits and will quickly move on and leave you alone! The repellent effects last up to 36 hours - even during hot and humid weather! Research has shown that Thiamine (Vitamin B1), the key ingredient in the OMEZONE Defend Mosquito Patch, when topically applied, actually helps repel insects like mosquitoes and flies. The thiamine-based formulation of OMEZONE Defend works with the body's own chemistry to create an invisible protective “barrier” that shields the user from mosquitoes and other biting insects. 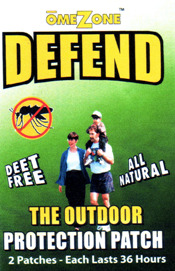 The OMEZONE Defend Mosquito Patch contains no pesticides and is totally safe and approved for use on children as young as one year of age, unlike DEET. Copyright 2014 Blue Diamond Pest Services. All rights reserved.